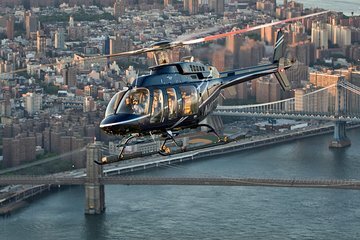 See New York City’s breathtaking skyline and the many iconic sights of the city on this 12-15 minute helicopter flight. 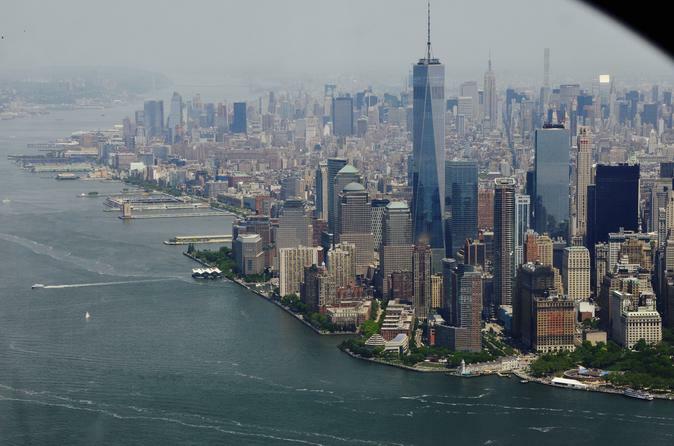 Soar over the Big Apple with an exclusive sightseeing tour of the Manhattan skyline and beyond, including the Empire State Building, the Chrysler Building, One World Trade Center and Central Park, to name just a few, plus Ellis Island, the Statue of Liberty and much more. A variety of departure times are available throughout the day to fit into almost any schedule. This was an amazing experience! We saw so much at once it was easier to put into perspective where we were when we weren't in the helicopter. We would definitely do it again! Helicopter ride was amazing, we watched a short Health and Safety presentation prior to our flight. We got fitted with a life jacket then made our way out to helicopter. The views over manhattan were fabulous, the scenery was stunning and we were really lucky with the weather. Only downside the pilot spent most of his time talking to other pilots, eventually towards the end of the trip pointed out some landmarks to us. All in all an amazing ride over manhattan, well worth the money! Disappointed in this as could not hear the commentary. Very professional company, everything was very well organised from start to finish. Had wonderful views of Manhattan and our pilot pointed out all the points of interest. A wonderful and amazing way to celebrate my birthday. Great experience. The helicopter semd better than the others with larger windows. We were a little bit late so got very quick service through the terminal and was up in the air before we knew it. The pilot was also great. A lot of money for the short trip but one of those things you don't do every day. Great flight but unfortunately the route was quite restricted to above the hudson river.. guess it is due to air space restriction after 9-11. All went very well just a little wait with how many people were there. And the flight was Awesome flying in a Helicopter is fun I'd do this again.